Welcome to Blewbury Tennis Club, situated in the famous and picturesque village of Blewbury, Oxfordshire and in existence for over 50 years. 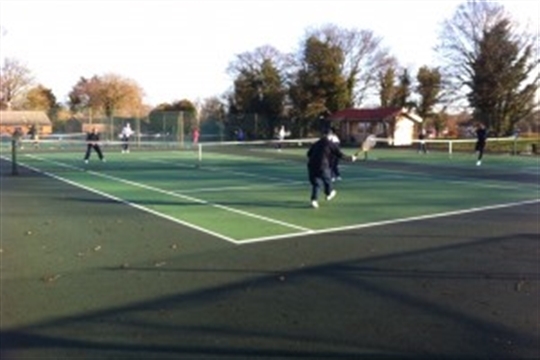 Blewbury is an LTA registered Tennis Club and provides it's members with a full range of social tennis and match play opportunities and excellent coaching for both seniors and juniors. Blewbury is a really family friendly club with an active membership of men, women and children of all ages. We run ladies, men’s and mixed doubles teams and compete in the Oxfordshire and Newbury Leagues in both the summer and winter. The club always welcomes new club members and offer online membership. Membership at Blewbury Tennis Club is tailored to suit you and help you achieve your tennis goals. Whether you want to play social tennis with friends, join our popular club sessions, improve your game through our professional coaching programme, or want to play competitive tennis in one of our many club teams, there's a membership package that's perfect for you!